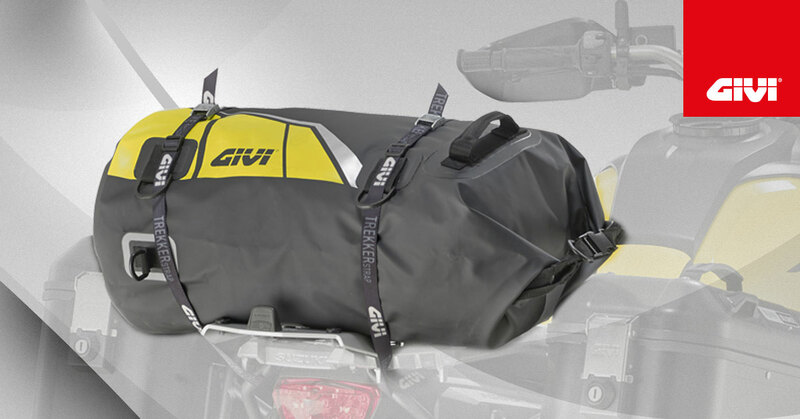 Waterproof cylinder seat bag 40 ltr. 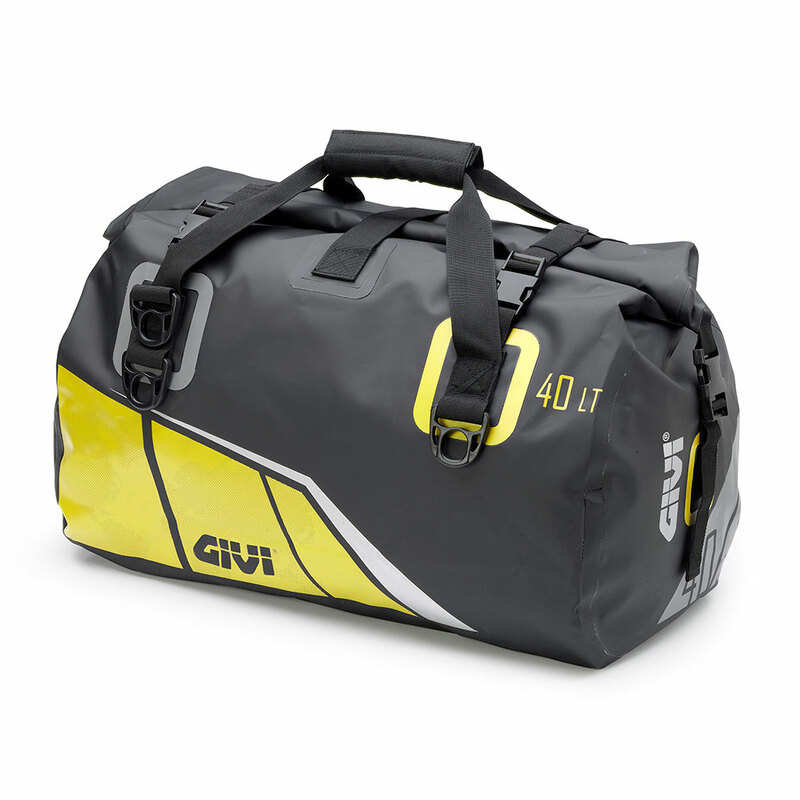 with a black base and yellow, grey and silver reflective print. 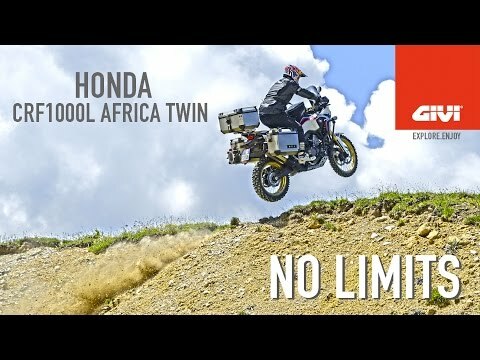 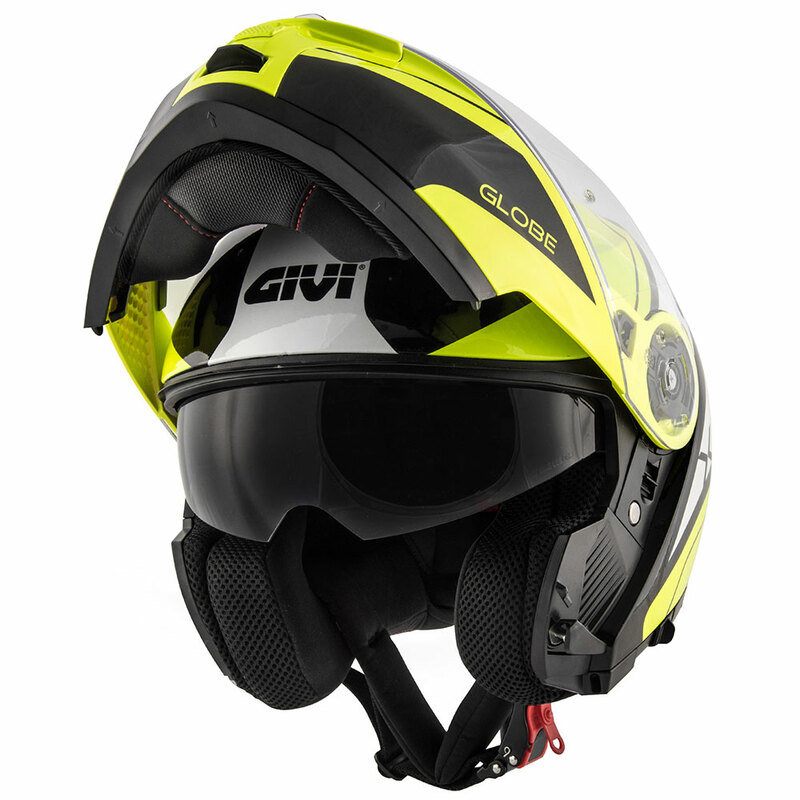 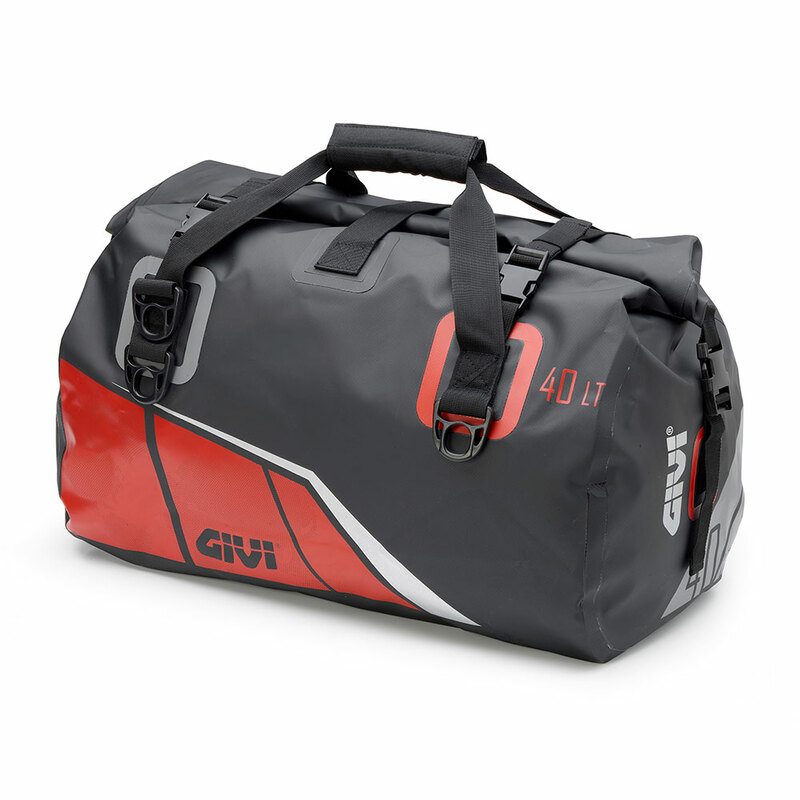 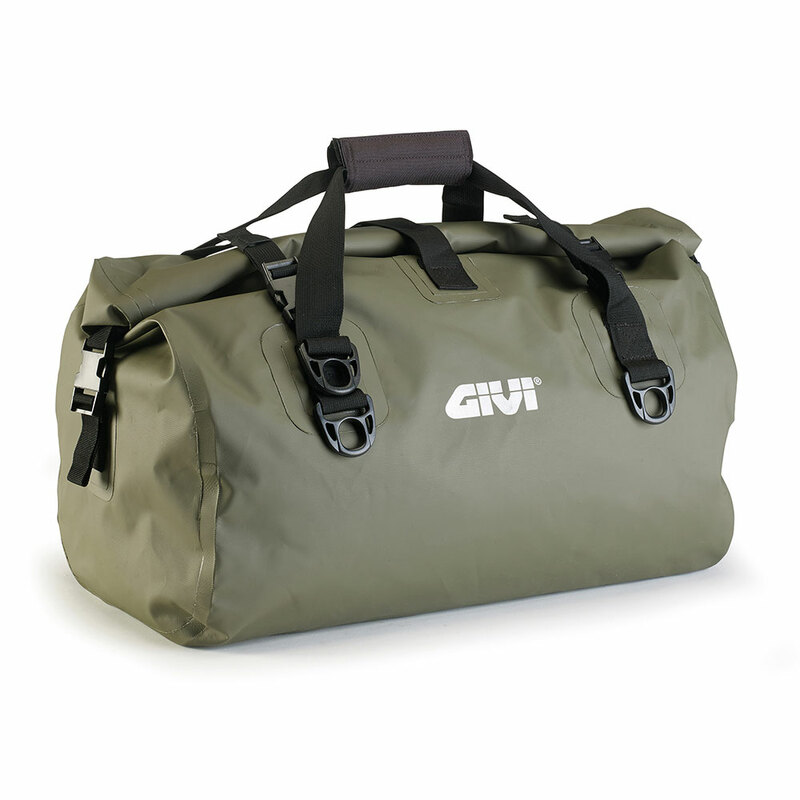 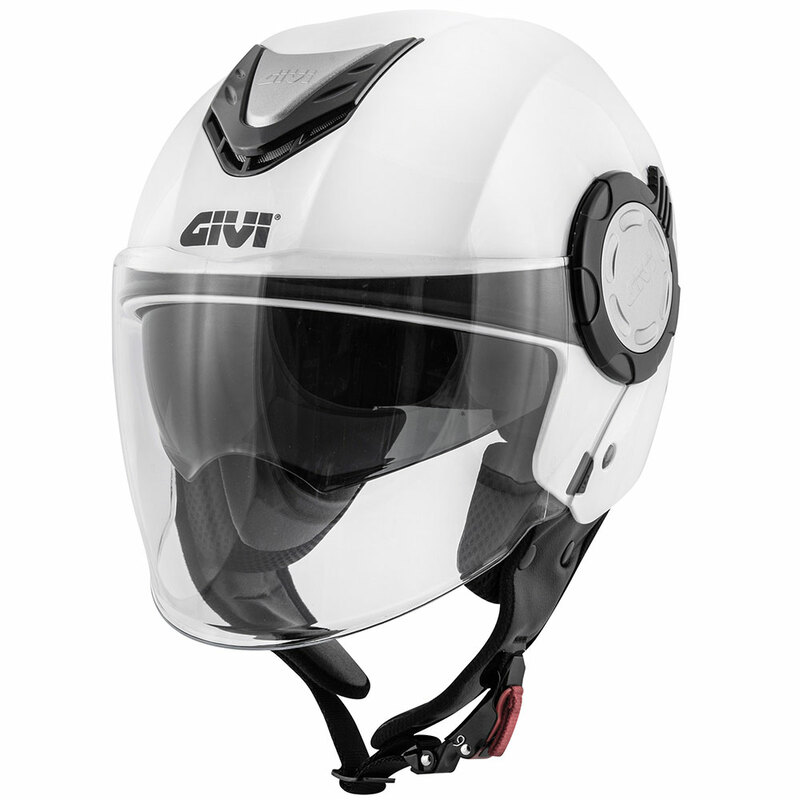 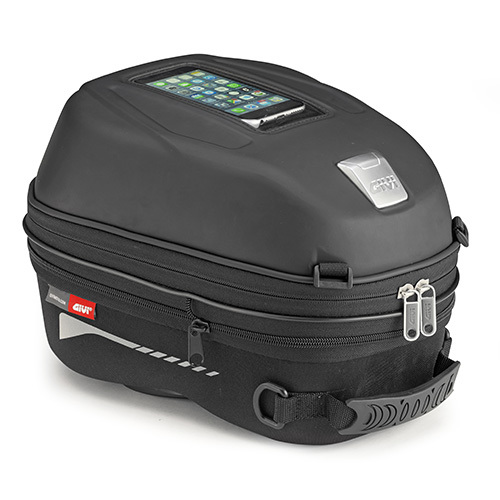 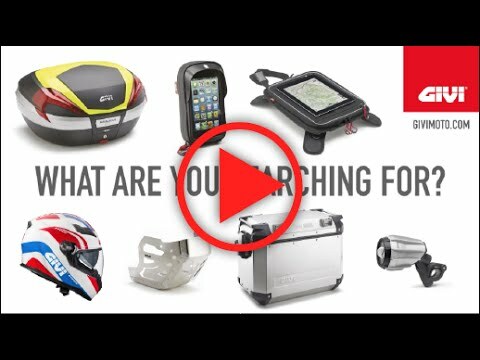 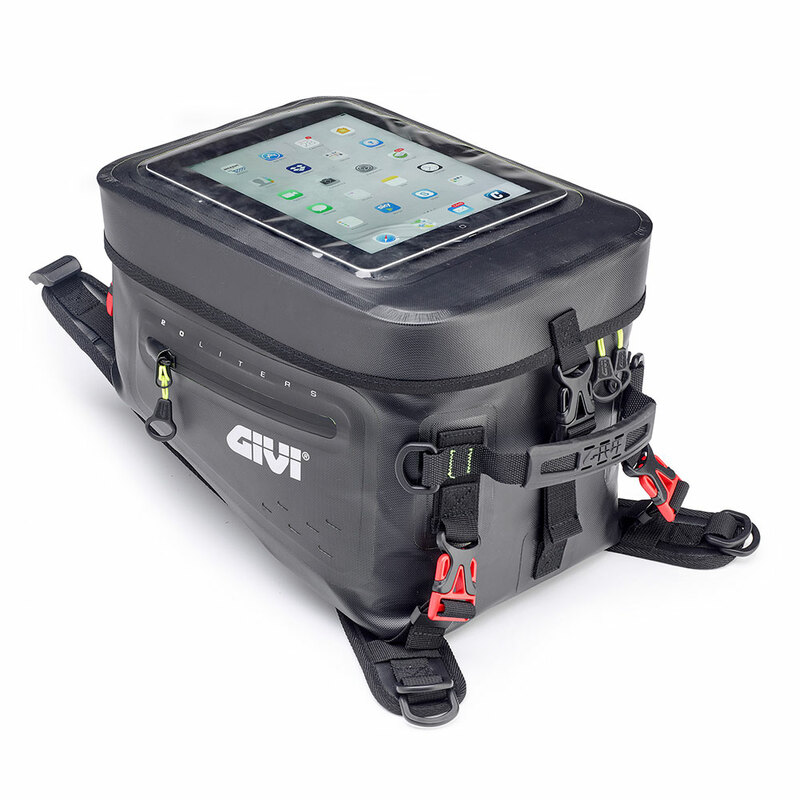 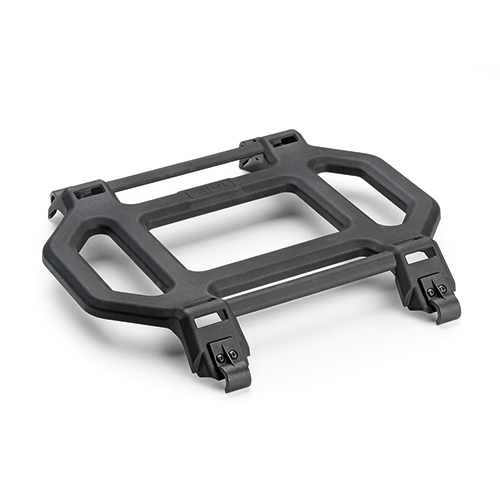 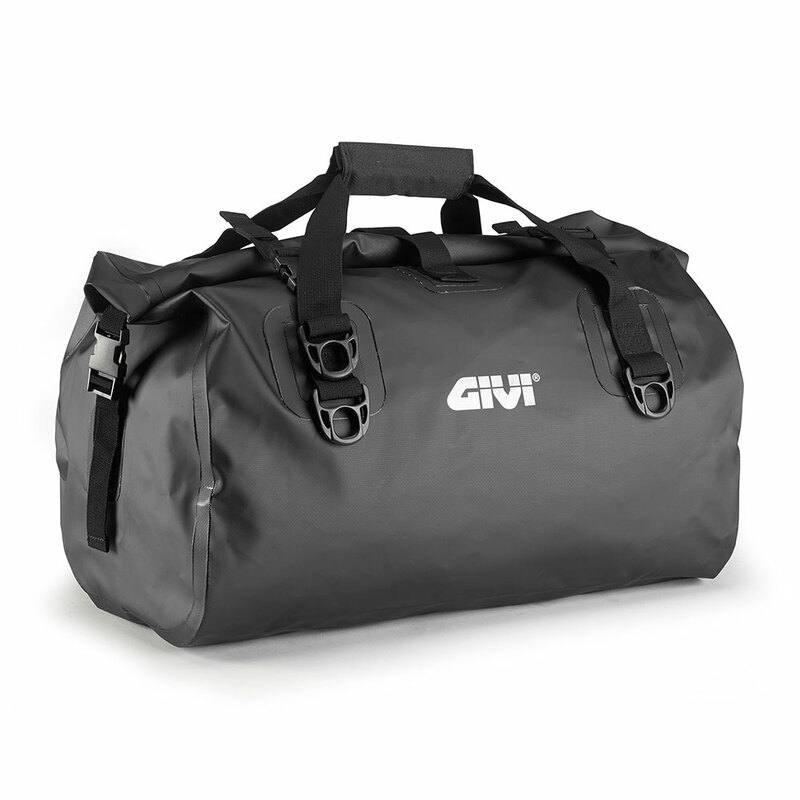 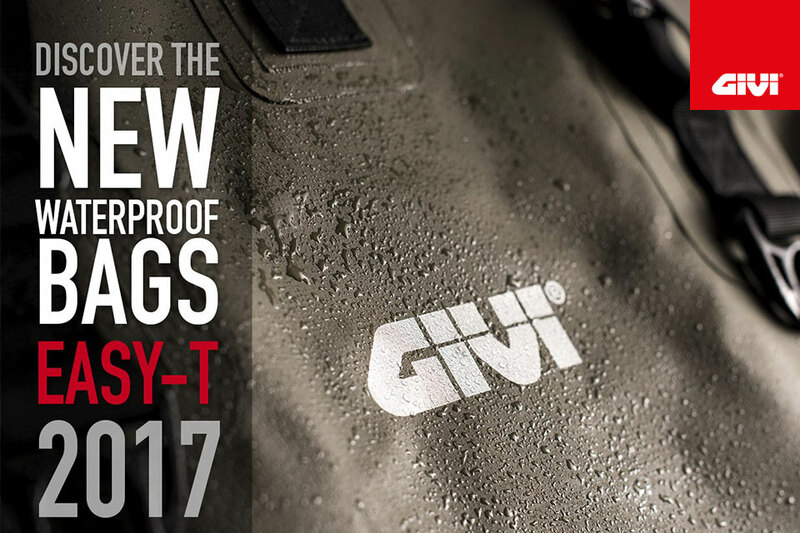 THE NEW WATERPROOF BAGS FROM GIVI HAVE ARRIVED!